If you’re a huge fan of bacon (and let’s be honest, who isn’t? ), then you’re definitely going to want to continue reading. Today, April 30th, Oscar Mayer is giving away a limited amount of Bacoin. What is Bacoin, you ask? It’s the world’s first-ever cryptocurrency backed by the gold standard of Oscar Mayer Bacon. It’s also your chance to get free packs of Oscar Mayer Bacon. No, this is not a drill. Fans who are interested in participating will be able to mine, track the value of, and cash out Bacoin for real packs of Oscar Mayer Bacon on the OscarMayerBacoin.com site. The “game” uses the principles of real life cryptocurrency mining to allow you to rack up the bacon (literally). You’re actually getting bacon. Like Bitcoin, the value of the cryptocurrency is controlled by proud Bacoin owners. 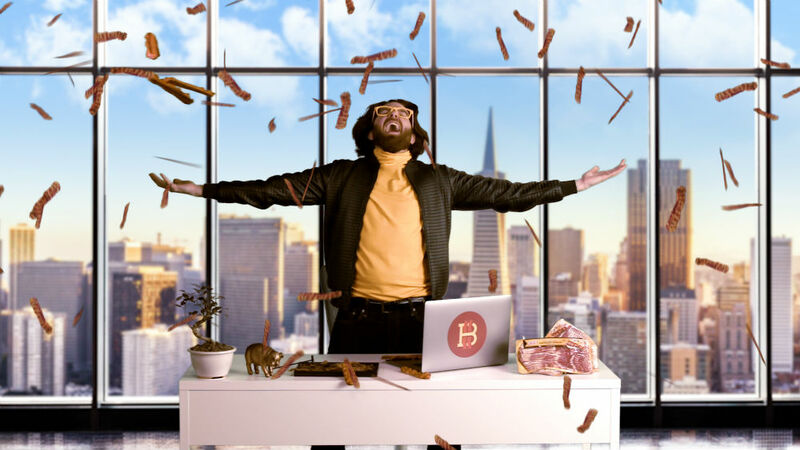 Unlike Bitcoin, owners can increase the value by spreading the news of Bacoin on Twitter and email on OscarMayerBacoin.com. The more owners share online, the greater value of their Bacoin. Owners can monitor the value and, when they’re ready, they can select the best time to cash out. You can choose to just get one pack of bacon, or you can try to get as many as possible. It’s up to you. This might sound like a delayed April Fool’s Joke, but it’s far from that. Oscar Mayer is actually allowing you to play around with cryptocurrency, then rewarding you with actual bacon. Of course, it’s only as long as supplies last, so you’ll want to start playing and sharing pretty quickly. This isn’t only your chance to get some free breakfast — it’s also a chance to get more acquainted with cryptocurrency. Who knows? It might really be the future.